What is the Importance of Learning Objectives? Skipping the stages crafting learning objectives along with an assessment can cause educators and students to spend countless hours on projects that have little to do with the concept that is being taught. This is when we realize the importance of learning objectives. Let us taken the example of making a volcano out of papier maché. We fill it with baking soda and pour vinegar in it to watch it “erupt.” This illustrates the forces of gas produced from an acid-based reaction. But volcanoes produce CO2 every day and never erupt… Also, there are many different types of volcanoes and some of them show a greater presence of different types of gas, not just CO2…and where does the “experiment” address the notion of temperature change that is so precious in a volcanologist’s observations? 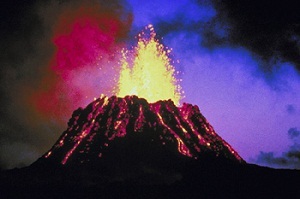 It is crucial that we question our own practices… will students really find out volcanoes erupt? Is there a better use of school time than to spend hours on a craft project that serves merely as support for a chemical reaction that does not actually illustrate the whole concept? There are better ways to craft motivating activities while keeping the focus on meaningful learning and thought-provoking experiences. The importance of learning objectives radiate through this illustration, showing us how focusing on the wrong thing can lead to pointless projects and serving merely as a waste of time. What sort of activities do you use to highlight learning objectives in your classroom?